The 30th Annual Texas Onion Fest is scheduled for Saturday, March 23 at Mayor Pablo Peña City Park, celebrating a milestone year as Weslaco’s trademark event. 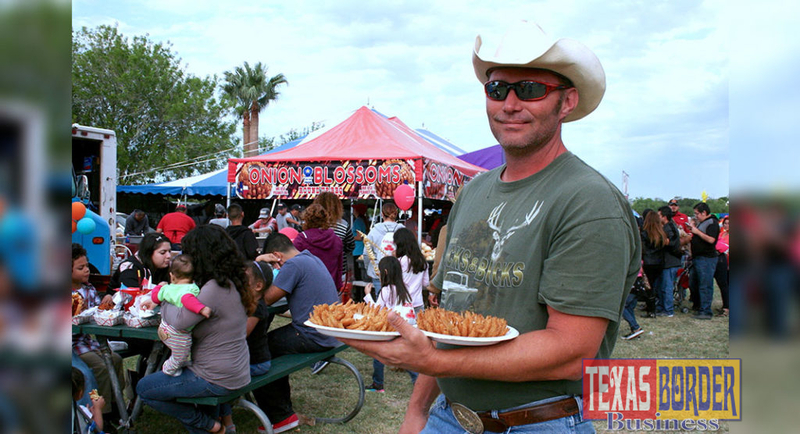 Texas Onion Fest celebrates the development of the world famous Sweet Texas Onion which was developed in Weslaco at the Texas A&M AgriLife Extension Service. Originally called the 1015 onion, the name came from the suggested planting date, October 15. The festival brings the community together for a fun filled day of live music, dancing horses, free kiddie rides, onion eating contest, cooking demonstrations and so much more. The festival is just one of the many attractions Weslaco has to offer, and reminds the community of Weslaco’s agricultural achievement. Texas Onion Fest’s milestone anniversary lands on another milestone year for the community, Weslaco’s 100th birthday. The Weslaco 100 Committee has been busy planning the festivities that take place all year, leading up to the big celebration in December. This year, Texas Onion Fest will have a guest speaker talking about Dr. Leonard Pike and his contribution to the agriculture industry . On Saturday, live entertainment is scheduled all day. Attendees will enjoy the sounds of country, oldies, and salsa music during the day. In the evening, attendees can enjoy crowd favorite Bo Garza and Texas Dezire and tribute band Siempre Selena.